A Review of Contemporary Understandings of Prehispanic Astronomical Knowledge. The ArchaeoBlog tracks the most recent articles. 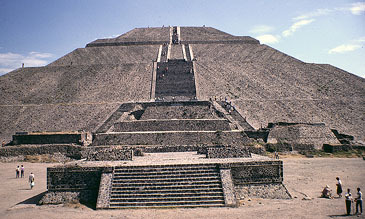 The Mesoamerican civilizations constructed numerous administrative and ceremonial centers and erected numerous monuments. These reflect astronomical knowledge and expertise in numeration and calendrics. This paper is an inquiry into the present level of knowledge of astronomy in prehistoric Mesoamerica and the level of prehistoric astronomical knowledge. Information comes from architectural relationships, stone monuments, codices and ethnohistorical manuscripts. The primary sources are the inscribed stone monuments and, in particular, the Dresden Codex. Ethnohistorical sources furnished useful keys for deciphering primary sources. One of the primary resources for study of Maya astronomy is the epigraphic record in four Mayan codices containing hieroglyphic writings that survived the widespread Spanish book burnings of the conquest period. The rediscovery of these volumes in European libraries in the mid-nineteenth century marks the beginning of modern inquiry into the intellectual achievements of the Maya. Post conquest writings depicting calendrical cycles and numeration played a role in the decipherment of Maya script. In particular, the work of Diego de Landa presented Mayan calendar glyphs. Landa reported the two types of months noted in Yucatan, and that the lunar month began with the appearance of the new moon. Landa also reported that the New Year began on 12 Kan 1 Pop in 1553 (Malstrom 1991), a correlation that later proved useful in aligning Mayan and modern calendars. During the 19th century Abbé Brasseur de Bourbourg recognized the day glyphs after discovering de Landa's Relacion de las Cosas de Yucatan. 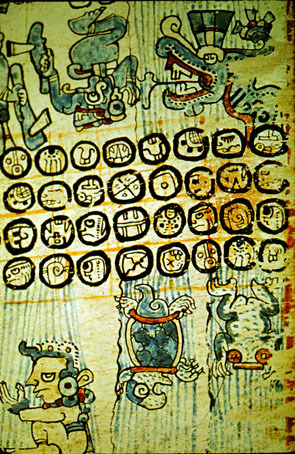 Landa provided drawings with the corresponding month names, and presented the four glyphs that fall on the initial days of the months, the year bearers. He also provided a calendar with European months correlated with the Native calendar, the names of calendar cycles, and some other hieroglyphic symbols related to European alphabetic signs (Leon, 1994). This information led to understanding the sequence to read the glyphs and the decipherment of the Long Count notation. Brasseur de Bourbourg also identified the sun or kin glyph, the glyph associated with the day. Ernst Förstmann identified the Venus glyph on the basis of its recurrence in the Venus Table of the Dresden Codex, which he discovered. Förstmann noticed the sum of a row of numbers totaled 584, equated with the synodic Venus cycle of morning star, disappearance, evening star and inferior solar conjunction (Förstmann 1906). He also recognized the eclipse intervals of 177 and 146 days. Förstmann, in 1895, made a valuable contribution in identifying the celestial bands in the codices as a distinct type of hieroglyphic composition representing cosmic entities. He was the first to identify the celestial band hieroglyphs in the Dresden Codex (Collea 1981). In 1906 Zelia Nuttall published an article about astronomical drawings in the codices. The Central Mexican crossed-stick glyph is considered a foresight symbol and often appears atop a pyramid or adjacent to individuals. An eye is placed between the sticks in most of its presentations. Morley mentioned, in a letter to Bowditch in 1909, the near-north alignment of Mayan buildings (Aveni 1981). 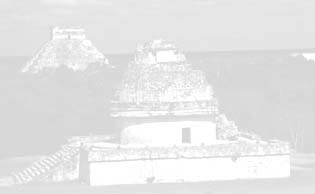 Edward Seler, in 1917, interpreted a bar and dot eight symbol on a Venus mask at Uxmal as related to the eight day inferior conjunction of the planet. Also in 1917 Herbert Spinden concluded that depictions in the Paris Codex represented a possible thirteen constellation zodiac (Severin 1981). In 1925 John Teeple recognized the lunar month multiple in the glyphs frequently appended to the Long Count inscriptions. Teeple determined that the Lunar Series glyphs represented the age of the moon. In 1937 Alexander Pogo compared dates in the Dresden Codex with actual observable eclipses in the Maya region, concluding that the tables dealt with lunar, not solar, eclipses (Gibbs 1977). By this time it was generally accepted that the prehistoric civilizations of Mesoamerica had advanced astronomical knowledge relative to their contemporaries in other parts of the world. In the remainder of this paper those understandings are examined by areas of evidence, beginning with the fundamentals underlying the practice of astronomy, numeration and calendrics. Numeration in Mesoamerica is vigesimal (20-based). Mayan notation employed dots for units up to four, bars for five's up to fifteen (3 bars), and their combinations. Twenties, four-hundreds, eight-thousands, and higher order place values were represented by symbols positioned above the base position, each such grouping a place position in the base system. Several hieroglyphs were employed as a zero symbol for unoccupied places, including a shell sign. Names of Maya numerical units to 64,000,000 are known. Stela F at Quirigua refers to a date 90 million years ago. Powers-of-twenty words in Yucatec are known to 206 (Lounsbury 1978). The bar-and-dot system was not limited to the Maya region, and is evidenced early in the Oaxaca Valley and the Olmec region. In the Aztec system, numerals from one through nineteen were represented by dots, twenties by flags, four-hundreds by tree-like figures, and eight-thousands by pouches or sacks. 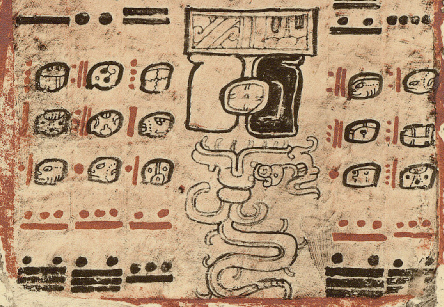 A variety of other conventions in the codices follow a pattern similar to the Aztec. The ancient peoples of Mesoamerica were sufficiently well equipped with scripts and methods to conduct mathematics and record numbers and dates. In Mesoamerica a multiplicity of cycles constituted a complex calendar system. These complexities have been useful in deciphering calendar dates. Cycles of 13 and 20 days were combined in the 260 count of days (tzolkin in Maya, tonalamatl in Nahuatl). Any day in the tzolkin can be specified by the position of the day in the two simultaneous cycles. It has been suggested that the 260 ephemeris has its foundation in the zenith passage observed from 15 degrees north, the latitude of Izapa or Copan. Other suggestions include the human gestation period or the completion of nine full moon cycles. The cycle is probably based on celestial periods, with cycles equaling 780 days, the synodic period of Mars. The Triple Almanac tables in the Dresden Codex has been associated with Mars (Förstmann 1906). More about the Dresden Codex below. The 365 day vague year consisted of eighteen named months of twenty days plus five days. The names of the months are variable from one Mayan language to another; yet, in the area in which hieroglyphic inscriptions are found, the hieroglyphs including variants are universal. The tzolkin intercalated with the vague year (haab in Yucatec) to produce the calendar round of 52 years or 18,980 days. The triple classification modules of 13, 20, and 365 provides a unique name for every day in the 52 year calendar round. Markers for larger time periods were also used, including the 400 year Tzontli and the Era of 5200 'years' of 360 days. The Maya area and adjacent regions to the west evidence the use of the Long Count, a continuous day count or chronology assigning a distinct number to every day in sequence. Fundamental to the Long Count is the tun of 360 days, composed of 18 uinals of twenty days (kins) each. The vigesimal place value system is modified in calendrics to accommodate the 365 day year. Tuns of 18 uinals are counted vigesimally, with the katun of twenty tun and the baktun of 400 tuns. The kins, uinals, tuns, katuns and baktuns respectively represent units of 1, 20, 360, 7200 and 144,000 days. Numbers employed ranged up to 64 million tuns (Lounsbury 1978). The Long Count denotes elapsed time from a beginning date of Aug. 13, 3114 B.C., or 0.0.0.0.0, with the calendar round date of 4 Ahau 8 Cumhu (Lounsbury 1989). This corresponds to the year 13 Reed on the Aztec calendar stone (Brotherston 1982). The next Mayan baktun begins in Dec. 2012 when a 394 year cycle ends as day 13.0.0.0.0 follows 12.19.19.17.19. The Goodman-Martinez-Thompson correlation, posited from 584,280 to 584,285 as the number to be added to a Maya day number to convert to Julian days. The correlation began as a correlation based on post conquest documents, particularly the writings of de Landa. Goodman's original conversion was 584,280. Thompson first proposed 584,285, the figure used herein. This number is now widely accepted and supported by radiocarbon dating an analysis of codex and monument dates. Following the Classic Maya period the Long Count was superseded by relating secondary dates to katun endings. The calendar round period endings together with names in the tzolkin and the calendar year produces a unique date within a span of 360 calendar rounds, a period of over 18,707 years. The oldest Mesoamerican calendar inscriptions are from the site of San José Mogote in the Oaxaca Valley, with day signs dated from 600 B.C. (Broda 1986). Stelae 12 and 13 at Monte Alban, dating to 500-400 B.C., contain calendric elements (Marcus 1992). The tzolkin and haab have a history that antedates their Maya use. Four artifacts, from Chiapas, Vera Cruz, and Guatemala have earlier dates in the long count. Stela 2 from Chiapa de Corzo, at 7.16.3.2.13 or 36 B.C., is the earliest. Stela C from Tres Zapotes has the date 31 B.C. and Stela 1 from El Baul is dated A.D. 36. The San Andrés Tuxtla Statuette has the year A.D. 162. All these employed bar-and-dot numeration and place value notation. The long count had wide distribution before the Maya era. The tzolkin, the haab and bar-and-dot numeration have a still older history than long counts with Valley of Oaxaca evidence from the middle of the first millennium B.C., a history of at least two and a half millennia (Lounsbury 1978). The two earliest Maya dates are from A.D. 292 and A.D. 320. Maya history begins with the accessions of two rulers depicted in these years. The oldest is from Stela 29 of Tikal (Lounsbury 1978). The later, the Leiden Plaque, has an initial glyph and bar-and-dot numerals prefixed to head-form period signs for the baktuns, katuns, tuns, uinals, and kins followed by an accession statement including the name of the person depicted. The last stone monument erected with a long count date was in A.D. 889. Dates on Mayan stelae often coincide with significant astronomical moments. At Bonampak, Floyd Lounsbury noted that the Long Count date on a mural coincides with both a Venus inferior conjunction and the local zenith passage of the Sun. This and other similar findings suggest that a complex calendar based on actual astronomical observations was employed by the Maya in scheduling events. The ascension and apotheosis of Palenque's Kan Balam coincided with the end of Jupiter's retrograde. The calendar dates of events in the lives of rulers are related to similar events of the far distant past or to anniversaries of these events in the distant future. At Palenque the accession of Pacal is documented in eight locations in the hieroglyphic texts. The inscriptions fix the accession as 5 Lamat 1 Mol (9.9.2.4.8) and his birth at 8 Ahau 13 Pop, or 9.8.9.13.0. The initial series of the Temple of the Cross cites an 8 Ahua date 1,359,540 days (over 3,722 years) earlier as the date of the birth of one of Pacal's ancestors. The initial series, or introductory dates from far back in antiquity at Palenque enabled John Teeple to decipher the meanings of the hieroglyphs pertaining to the lunar calendar. To the earlier of the pair, 1.18.5.3.6, the initial date of the Temple of the Sun, is ascribed a moon number of 4, a moon age of 26 days, and a lunar month duration of 30 days. The Temple of the Foliated Cross date, a pair of dates fourteen days apart, is ascribed the moon number of 5, a moon age of 10 days, and month duration again of 30 days. On stelae, long count dates are typically confined to the initial passage. They begin with a large introductory glyph that varies in accord with the month. The numbers of baktuns, katuns, tuns, uinals, and kins follow, either with bars and dots or ornate glyphs. The date in the tzolkin and haab follow. Supplementary cycles of nine days, the lunar positions mentioned above follow. All these had a fixed order except for variability in inserting haab. Other dates on the inscription were often shown as distance numbers from preceding ones from which the corresponding day name could be computed. Care was taken to eliminate ambiguities. These dates were elaborated with their katun endings, designating only one possibility within 18,720 years. Astronomical data in prehistoric scripts show a primary concern with cosmic objects that move along the ecliptic, the sun and the visible planets. The symbols of the sun and the moon are unequivocally known, with less certainty about the symbols of the planets (Brotherston 1982). The spans of calendar dates equated with astronomical events has offered insight into the accuracy of astronomical understandings on the part of the ancient Mesoamericans. Based on a study of dates in Bonampak inscriptions and their coincidence to astronomically significant dates Lounsbury (1982) concluded that the Maya had attained "some fair precision in their astronomical observations." The Metonic lunar eclipse cycle is reported from Copan Stela 3 and A as 6940 days equaling 19 solar years and 235 moons (Thompson 1971). Inscriptions on stelae at Copan record both a vernal equinox (Stela 5) and a winter solstice (Stela N) (Gibbs 1977). 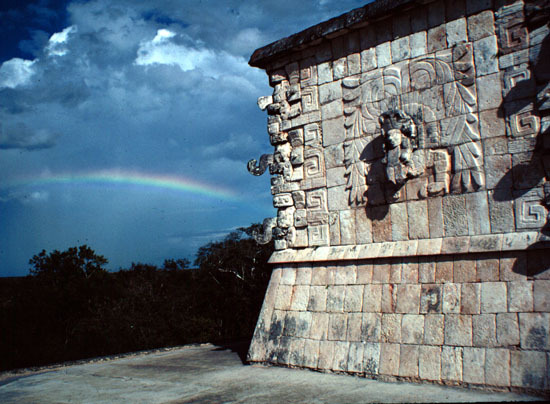 An autumnal equinox is recorded at Yaxchilan. 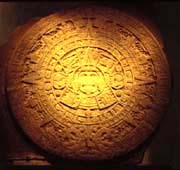 Evidence of an awareness of the 26,000 year precession cycle is evidenced in various forms, including the Aztec Calendar Stone. The Era of 5200 years is one fifth of the Great Year of 26,000 years. The Aztec Calender Stone features 13 Reed, the first day of this Era, surrounded by the names of the previous four Eras. The use of the haab of 365 days results in solar drift, the dates of the year moving in relation to the seasonal stations. In 1906 Charles P. Bowditch first noticed evidence of the Mesoamericans equating 1508 haabs (29 calendar rounds) with 1507 tropical years. The evidence was in the form of calendar dates with this separation. The difference between the solar year and the haab seems to be recorded in a Temple of the Cross inscriptions at Palenque, as first decoded by Teeple and discussed by Thompson (1971). Two dates express a 1508 haab interval, equal to 1507 tropical years (365 x 1508 = 1507 x 365.242203) a recognition of intercalation more accurate than the present day Gregorian calendar. This 29 calendar round period also appears in the flames of the Sun in the Codex Laud. Dates in the Codex Mexicanus consists of three 1508 haab periods. About 200 explicit lunar references are known in the Maya inscriptions (Justenson 1989), most of these calendar dates. The explicit astronomical references to the moon are restricted to a few very likely solar eclipse dates and are accompanied by supportive glyphs such as blackness or solar iconography. Evidence of lunar dates begin at A.D. 357 in an inscription from Uaxactun, bearing a date of 8.16.0.0.0, a moon age of 25 days, a position in the eclipse half-year, and a 29 day duration. There is a vase from Uaxactun which would place the origin of the lunar calendar prior to A.D. 42. 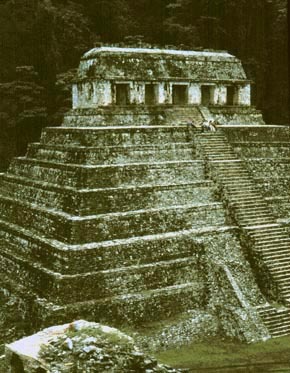 Knowledge of the eclipse cycle is evidenced in the Temple of the Sun at Palenque, dedicated in A.D. 692. The Palenque moon ratio of 81 moons to 2,392 days is equal to the ratio in the later Dresden Codex eclipse table of 405 moons. This whole number ratio expresses a value of 29.530864 days per lunar cycle, 0.00027 days less than the present value. A wealth of astronomical data has been found in the few surviving prehistoric Mesoamerican codices. They have played a central role in our evolving understanding of the prehistoric level of astronomical knowledge. Computations in the codices are expressed in whole day units and often correspond to periodicities of celestial objects. Calendar dates in the Era (360 x 5200 or 260 x 7200) are found in the obverse of the Vienna Codex, where a span of 4800 years of (12 Tzontli) from 5 Flint 3108 BC to 8 Flint 1692 AD is expressed (Brotherston 1982). The Zouche Codex refers to Eight Deer's fire kindling in 1047 AD as a Jade Round of 80 52 year centuries from the 3114 BC founding of the Era. The post-Contact Codice Mexicanus refers to 1570 AD as 4682 years after 1 Flint 3112 BC. A sequence of bar and dot numerators in the Fejérváry Codex, pages 15 to 22, totaling 6940 days or one Metonic cycle (19.0011 years, 254.0109 lunar orbits, 235.0106 lunar months and 255.0325 nodal months given present day astronomic values) was the first notice of this cycle in iconographic texts by Brotherston (1982). In the Dresden the Saros cycle was recognized. A Dresden table with divisors of 78 is suspected of being related to the 780 day Mars synodic period. The most important codex is the Dresden with its lunar eclipse table and Venus table. The 405 lunation eclipse cycle of 11,960 days is known principally from the Dresden Codex, from the late twelfth or early thirteenth century. The codex prototype is assumed to be from A.D. 755 and suggests knowledge of the eclipse cycle going back at least to 683 (Lounsbury). Eclipse prediction infers certain level of knowledge, including the length of the lunar month, the interval between lunar nodes and the ecliptic limit for solar eclipses, thereby inferring that this knowledge already existed by that date. Förstmann contended that pages 51-58 of the Dresden were related to the Mercury synodic period of 117 days and the tzolkin of 260 days, both divisibles of the 11,960 day sequence. Because the intervals were grouped into sections of 177, 178 and 148 days, Martin Meinshausen and Robert W. Willson later each concluded the table was eclipse related (Collea 1981). There are nine 148 day periods among sixty of the 177-178 day periods, in three major divisions of 23 groups each for a total of 405 months in all. This led to identifying it as a lunar table related to eclipse periods. A pair of dates in the Codex separated by allots 4,367 lunations to 128,960 days, two such corrections. This is equivalent to a mean lunar month of 29.530570 days, or 0.00002 days less than our present value. In 299 chronological years the 405 mean lunar months accumulate a one-ninth of a day shortfall from 11,960 days, or a one-day shortfall in nine repetitions of the cycle. Advancing the base of the table by one day after this span corrects the error. The Maya may have employed this. The table thereby yields a lunar synodic month value of 29.5308985 days, compared to 29.5305990 in the year 1050 A.D. Lounsbury (1978) lists A.D. 1050 as the probable date of the eclipse table. This remarkable accuracy was accomplished without using decimals. The Dresden Codex may represent the first known exact astronomic constant in human history. By my calculations the 29.5308985 days figure would have been precise in the year 1075, within the time under consideration herein. The latest date in the Dresden is A.D. 1210 and the epoch date in the Venus table is A.D. 1030. The Dresden Codex also contains a table divided into five periods of 584 days, which led to its identification as a table of the synodic period of Venus. Venus' synodic period averages 583.92166 days. The Venus tables present a period of 584 days, the 8 haab cycle of 2,920 days and a cycle of 37,960 days, a multiple of the 146 tzolkins, 104 haabs, 65 Venus periods and two calendar rounds. To these numbers corrections were applied to compensate for accumulations of error, with a resultant accuracy of 0.08 days in over 481 years (Aveni 1981), yielding a value of 583.92026 days. 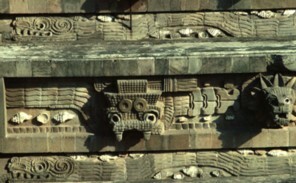 The Venus table evidences the Maya understanding the planet as both the Morning Star and the Evening Star. The tables show divisibles of 584 that approximate the subdivisions of Venus' appearances and disappearances. The Grollier Codex contains a similar table with the same length. In the Vienna Codex obverse (the Tepexic Annals) the date 2 Reed 2 Reed 1681 BC is depicted, 1427 years from the first depicted date of 5 Flint 3108 BC. The date 5 Flint 248 BC is also depicted, 2860 years after the 5 Flint 3108 BC date. Brotherston (1982) considers this evidence of the use of the sidereal year because of the solar drift of the 365 day count and the sidereal year count. The 2860 years times 0.263595 (365.2636 - 365) equals 754 days, twice 376.5 days. This is not of comparable accuracy with the solar drift mentioned above. I find an alternate explanation of the 2860 year span far more plausible. The solar drift during the 2860 year epoch [2860 x (365.2424 - 365)] equals 2 times 346.63 days. This compares more accurately with the value of 346.62 days for the Eclipse Year at a mean date of 1684 BC. The figures would be precise for the year 1230 B.C. At most the drift error would be off by a year during the range considered. If this was the intention of the recording of these glyphs we must conclude that the Eclipse year was accurately understood. The Paris Codex was discovered in 1859. It presents a series of katuns, year bearers and possible zodiac symbols, beings hanging from a celestial band. Severin (1981) analysis of the codex proposes that it provides a table for reckoning the precession of the equinoxes. He concludes that the table was used as an ephemeris for the prediction of solar and lunar ecliptic longitude over a time span of 26,000 years, a fundamental aspect of accurate determination of celestial coordinates. According to O. G. Rickerson, Frans Blom, in 1924, surveyed Uaxactun and recognized that the easternmost plaza, Group E, probably functioned as a solar observatory (Aveni and Hartung 1989). The cardinally aligned Group E is situated on an 200 x 100 meter elevated artificial terrace. An elongated terrace mound on the eastern edge is topped by three west facing structures. Fifty meters to the west is pyramid E-VII sub, a structure that never supported any building. As viewed from E-VII the three eastern mounds and their structures marked the extremes and midpoint of the sun's rise position relative to the horizon. Aveni and Hartung (1989) made accurate measurements of the alignments and found a satisfactory fit, concluding the structures would have made an adequate solstice observatory, though not an equinoctial one. These authors also noted that the alignment of the E Group, on a North-South axis, points almost exactly to the center of Tikal. Ruppert (1934) reported the widespread occurrence throughout the Peten of complexes resembling Uaxactun's E Group, listing 19 sites, of which 13 sites had unmistakable resemblance. Based on studies of site maps, Aveni and Hartung concluded that none of the other Group E complexes could then be classified as actual observatories and may have been more symbolic. Mayan architectural alignments have been shown to relate to horizon positions of astronomical bodies. Both Edzna and Teotihuacan have orientations to the sunset on Aug. 13, the first day of the present Long Count (Malstrom 1991). Malstrom also notes the coincidence of the alignment of the two principal pyramids at Edzna (Cinco Pisos and La Vieja) with the lunar standstill. He concludes the Cinco Pisos may have been the earliest lunar observatory identified in Mesoamerica. A well documented and studied case is the Palace of the Governors at Uxmal. Puuc centers are often grouped about a N-S axis and nearly all Puuc buildings are oriented near 14 degrees East of true north (Segovia 1991). The Palace of the Governors does not conform to the rest of Uxmal's orientation. It is built upon a 200 meter on a side platform mound (Aveni and Hartung 1991) with the long walls oriented facing the southerly standstill position of Venus during the era 750 AD. Venus horizon extremes follow an annual cycle, following the sun, and an eight year period. At about 6 km. distance, the mound of Nophat marks the 28° 13' S. of E. position, the Venus extreme (Aveni 1981). Venus iconography also adorns the palace facade. The same Venus glyphs found in the Venus table of the Dresden Codex are found in the facade. Thus, the iconography of the building supports the interpretation that it is oriented to Venus' southerly rise. 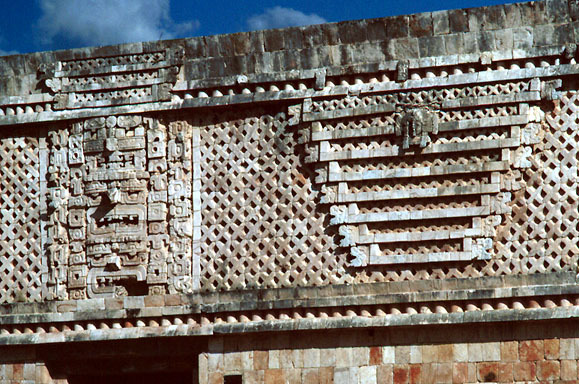 There are also Venus glyphs on the Nunnery facade, as well as groups of 584 x's in some of the facade designs. As early as 1917 Eduard Seler had hypothesized a relationship of the Palace to Venus based on the iconography (Aveni and Hartung 1991). Uxmal also has an alignment to summer solstice and one to due north. The western orientation of the Castillo at Chichen Itza faces within a degree the zenith passage sunset. The east faces sunrise at the time of solar nadir. The Upper Temple of the Jaguars and the Temple of the Warriors align to the zenith sunset. The Castillo has 365 steps. The Caracol at Chichen Itza is recognized as an astronomical observatory (Milbrath 1988). The Caracol has three Venus alignments, including the building's alignment to the northerly extremes of Venus. A pair of turret window alignments and a pair of base alignments point to Venus' western horizon standstills around 1000 A.D. The Caracol's platform, an irregular rectangle, has a diagonal directed toward the winter solstice sunset and summer solstice sunrise (Broda 1986). The platform staircase faces the Venus extreme north position. At Alta Vista near the Tropic of Cancer the double alignment to Picacho Peak includes an equinox alignment from the ruins and a summer solstice alignment from the pecked cross of Cerro Chapin (Broda 1986). At Malinalco a solar hierophany is created by the Monolithic Temple. The Cholula pyramid is oriented to the winter solstice, at 25.5 degrees south of east (Ponce de Leon 1983) and to the solar setting position at summer solstice (Broda 1986). 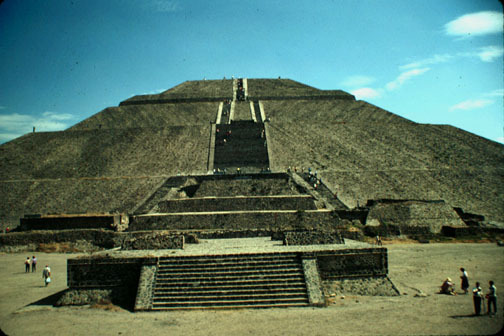 The monuments at Xochicalco present alignments to both the summer and winter solstices as well as the local zenith passage solar position (Broda 1986). Other sites with astronomical alignments include Caballito Blanco, Copan, Palenque, Izapa and Yaxchilan, to mention only a few most important examples. I began this research with the view that the astronomy of Mesoamerica was not precise, perhaps in part due to the influences of many previous writers on the topic, and, of course, because we do not recognize a decimal system in Mesoamerican numeration. Testing the accuracy of just several dates and time spans, using astronomic variables commensurate with the dates under consideration instead of comparing Mesoamerican astronomic values to present day quantities, has led me to conclude that the accuracy of Mesoamerican astronomy may have been precise. A more complete examination of the material is therefore recommended. Perhaps the view in contemporary scientific literature, holding that the astronomy of that era was at the service of diviners and prognosticators and had to conform to readily divisible intervals for rituals, fails to recognize scientific achievements during the prehistoric era. This topic deserves reexamination without the prejudices and attitudes that led Fray Diego de Landa to burn the many Mayan codices-books which perhaps could have readily answered the question posed herein. © 1999 by James Q. Jacobs, all rights reserved. 2009.06.13 - The Dresden Codex Lunar Series presents a span of 11,457 days, equaling 11,292.124 degrees solar orbit. This amount has a sidereal correspondence with 857 days equaling 11,292.138 degrees lunar orbit (Table 1). Also, 11,457 lunar orbits equates to 857 solar orbits and 10,600 lunar synodic periods. The "image series" of 11,457 days consists of the nine date intervals between ten images. The full ten intervals span 11,959 days, rather than the 11,960 days more accurately equaling 405 full moons. The 11,959 day interval also has a sidereal correspondence equating solar and lunar orbits. Angular lunar orbit motion during 897 earth rotations equals solar orbit motion during 11,959 days. Table 1. Dresden Codex Lunar Series Astronomical Periods. 2010.07.16 - Raymond Mardyks brought a typographical problem to my attention. I have corrected the sentence to reflect the corrected calculation, " The solar drift during the 2860 year epoch [2860 x (365.2424 - 365)] equals 2 times 346.63 days." "11 Ahau was the katun when they carried on their backs. Then the land-surveyor first came; this was Ah Ppizte who measured the leagues. Then there came the chacté shrub for marking the leagues with their walking sticks. Then he came Uac-hab-nal to pull the weeds along the leagues, when Mizcit Ahau came to sweep clean the leagues, when the land-surveyor came. These were long leagues that he measured. ..."
"... the great mounds came to be built by the lineages and all the things which the rulers did. They were the ones who built the mounds. It took thirteen katuns and six years for them to construct them. The following was the beginning of the mounds they built. Fifteen four-hundreds were the scores of their mounds, and fifty more made the total count of the mounds they constructed all over the land. " Ralph L. Roys, 1933 Carnegie Institution Wash. D.C.
Aveni, Anthony F. 1979. Venus and the Maya. American Scientist, 67:274-285. Aveni, Anthony F. and Horst Hartung. 1991. Archaeoastronomy and the Puuc sites. Arqueoastronomía y Etnoastronomía en Mesoamérica. J. Broda, S. Iwaniszewski, and L. Maupomé, eds., (Inst. de Investig. Hist., Serie de Hist. de la Ciencia y la Technología, 4). México, U. N. A. M. pp. 65-95. Aveni, Anthony F. and Horst Hartung. 1989. Uaxactun, Guatemala, Group E, and similar assemblages: an archaeoastronomical reconsideration. In World Archaeoastronomy, edited by A. Aveni, pp. 441-461. Cambridge University Press, Cambridge. Brotherston, G., 1982, Astronomical Norms in Mesoamerican Ritual and Time-Reckoning. In Archaeoastronomy in the New World, Edited by A. F. Aveni, pp. 109-142. Cambridge University Press, London. Carlson, John B. 1981. Numerology and the astronomy of the Maya. In Archaeoastronomy in the Americas, edited by R. Williamson, pp. 205-213. Ballena Press & Center for Archaeoastronomy. Los Altos & College Park. Collea, Beth A. 1981. The celestial bands in Maya hieroglyphic writing. In Archaeoastronomy in the Americas, edited by R. Williamson, pp. 215-231. Ballena Press & Center for Archaeoastronomy. Los Altos & College Park. Förstemann, Ernst W. 1906. Commentary on the Maya manuscript in the Royal Public Library of Dresden. Harvard University, Peabody Museum, Papers, Vol. IV, No. 2. Cambridge, Peabody Museum. pp. 51-267. Galindo Trejo, J. 1990. Solar Observations in Ancient Mexico: Malinalco. Archaeoastronomy 15: S17- S35. Gibbs, Sharon L. 1977. Mesoamerican calendrics as evidence of astronomical activity. Native American astronomy. A. Aveni, ed., Austin, University of Texas Press. pp. 21-35. Justeson, John S., 1989. Ancient Maya ethnoastronomy: an overview of hieroglyphic sources. In World archaeoastronomy: selected papers from the 2nd Oxford International Conference on Archaeoastronomy. A. Aveni, ed., Cambridge, Cambridge University Press. pp. 76-129. Leon Cázares, María del Carmen, 1994. Fray Diego de Landa, Relacion de las Cosas de Yucatan. Consejo Nacional para la Cultura y las Artes, Mexico, D. F.
Lounsbury, Floyd G., 1989. A Palenque king and the planet Jupiter. In World archaeoastronomy. A. Aveni, ed., Cambridge, Cambridge University Press. pp. 246-259. Lounsbury, Floyd G., 1982, Astronomical knowledge and its uses at Bonampak, Mexico. (In) Archaeoastronomy in the New World, edited by A. F. Aveni, pp. 143-168. Cambridge University Press. London. 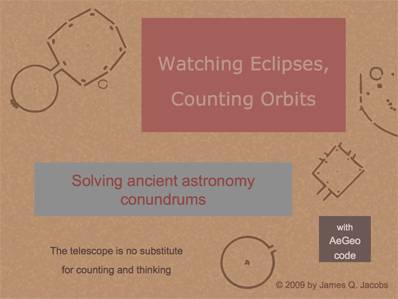 Lounsbury, Floyd G., 1978, Maya numeration, computation, and calendrical astronomy. In Dictionary of Scientific Biography, C. Gillispie, editor., vol. 15. New York, Scribner's. pp. 759-818. Malmstrom, Vincent H., 1991. Edzna: earliest astronomical center of the Maya? In Arqueoastronomía y etnoastronomía en Mesoamérica. J. Broda, S. Iwaniszewski, and L. Maupomé, eds., (Inst. de Investig. Hist., Serie de Hist. de la Ciencia y la Technología, 4). México, U. N. A. M. pp. 37-47. Marcus, Joyce, 1992. 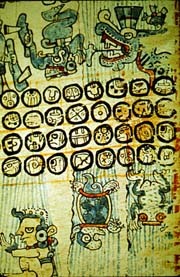 Mesoamerican Writing Systems, Princeton University Press, Princeton. Maupomé, Lucrecia. Reseóa de las evidencias de la actividad astronómica en la América antigua. 1986. In Historia de la astronómica en México M. Moreno Corral, ed. México, Fondo de Cultura Económica. pp. 17-64. Milbrath, Susan. 1988. Astronomical images and orientations in the architecture of Chichen Itza. In New directions in American archaeoastronomy, A. Aveni, ed., (BAR International Series, 454). Oxford, B.A.R. pp. 57-79. Ponce de León H., Arturo. 1983. Fechamiento arqueoastronómico en el altiplano de México. In Calendars in Mesoamerica and Peru: Native American computations of time. A. Aveni and G. Brotherston, eds., (BAR International Series, 174). Oxford, B. A. R. pp. 73-99. Ruppert, K. 1934. Explorations in Campeche. Carnegie Institution of Washington Yearbook. Annual Report 1933-34. Segovia, Víctor. 1991. La astronomía en Uxmal. In Arqueoastronomía y etnoastronomía en Mesoamérica. J. Broda, S. Iwaniszewski, and L. Maupomé, eds., Inst. de Investig. Hist., Serie de Hist. de la Ciencia y la Technología, 4. México, U. N. A. M. pp. 61-63. Severin, Gregory M., 1981. The Paris Codex: Decoding an Astronomical Ephemeris. Transactions of the American Philosophical Society 71:5. Thompson, J. Eric S., 1971, Maya Hieroglyphic Writing. University of Oklahoma. Norman. Thurston, Hugh. 1994. A Mayan Table of Eclipses. Archaeoastronomy, 19, pp. S83-S84.